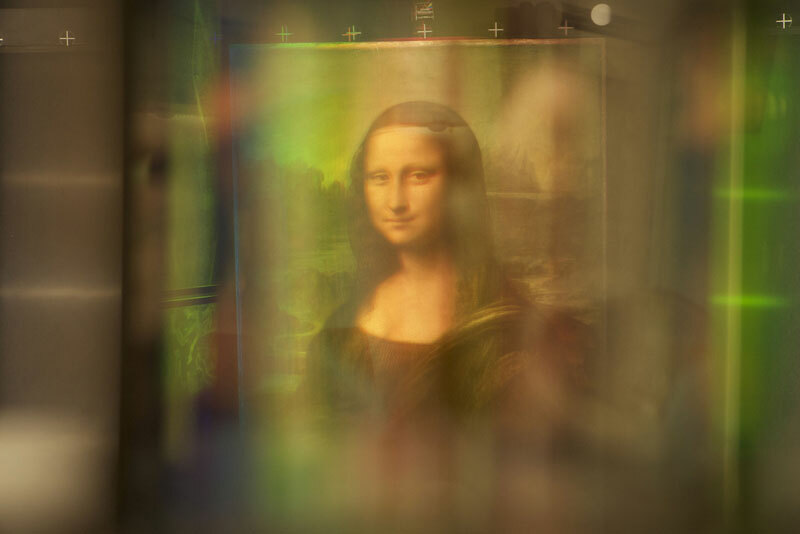 Near the beginning of Secrets of the Mona Lisa, the BBC’s beguiling documentary about the world’s most famous painting, presenter Andrew Graham-Dixon speaks to Oxford Da Vinci authority Professor Martin Kemp. Some things, Kemp tells us, endure for their genuine, innate quality of genius; some are ‘famous for being famous’. The truth is that the Mona Lisa is both – famous for being brilliant but now also famous for being famous. She’s the reason you can’t move through the Louvre because hundreds of people who don’t care about art are in the way with their camera phones out. It is to the programme’s credit, then, that Graham-Dixon only uses this angle as a hook for the Louvre selfie generation and gets it quickly out of the way. The subject was almost certainly Lisa del Giocondo née Gherardini, a Florentine merchant’s wife. We have lots of evidence he painted her: but this evidence might relate to a different painting, says Graham-Dixon. Some of the sources talk about aspects that aren’t evident in the Mona Lisa we have. There were also supposedly two patrons who commissioned the painting at different times: Francesco, Lisa’s husband, and Giuliano de’ Medici. We are then introduced to what might be a proto-Lisa now owned by a syndicate in Singapore. It’s the same subject but younger, less complete in the background. This is what is known as the Isleworth Mona Lisa, discovered around a century ago, and it tingles with similarity to the official painting. If it is genuine, Leonardo painted Lisa Gherardini throughout her life. Is this the missing work the sources seem to point to? Graham-Dixon is suave and polyglot as always – at one point he even lapses from Italian to address a Parisian Mona Lisa copy from the 17th century in French. (He talks to the painting in a foreign language. The painting.) But he also seems genuinely open to discovery, inspiration and epiphany. It’s compelling, and we feel the shock of discovery with him. But his storytelling – or rather the documentary’s – is ill thought out, taking some odd leaps. After tantalising us with data that the two pictures are 99% similar in the application of pigment and treatment of light (more so than any forgery of an Old Master ever examined with this technique) and scientific evidence that they were painted at the same time, this road is abandoned on a hunch: the Isleworth painting is in fact too beautiful, too Da Vinci-like. It must be a modern touching-up. Well, if you say so. But the painting isn’t adequately ruled out, and one gets the sense it wasn’t Graham-Dixon’s to forensically examine. The savvy Singaporean owners were hardly going to run the risk of publicly and categorically disproving the authenticity of their investment. In steps Pascal Cotte at the eleventh hour, a French scientist who has devised a new X-ray method that can isolate every layer of paint. His studies of the Mona Lisa have revealed that the painting we see has been painted on top of other figures. 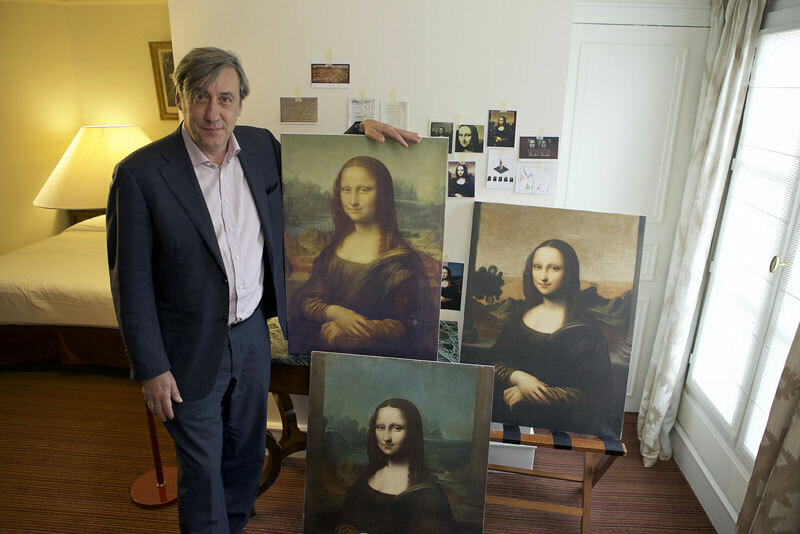 On this evidence and with the help of a Renaissance hair-stylist, Graham-Dixon comes to the conclusion that the two paintings – the famous Mona Lisa and her missing counterpart – live in one panel. This ‘discovery’ has made world news. ‘These revelations will change everything we thought we knew about history’s most enigmatic art work,’ the voice-overed intro tells us. It is ‘an extraordinary moment in the history of art,’ and even ‘quite simply one of the stories of the century’. I understand why this is an important art world discovery that deserves a few theses instead of an hour long show, but I absolutely refuse to see why it is in any way surprising. Artists painted over their pictures. Paintings of the age almost always contained their own earlier drafts and they were added to over time. It’s only newsworthy because it’s the Mona Lisa. And saying the mock-up generated from the X-rays – which, if you have listened closely, doesn’t chime with the original evidence for there being a second painting – is the ‘real’ Mona Lisa is as silly as saying Go Set A Watchman, Harper Lee’s rejected draft from which a masterpiece was shaped, was the ‘real’ To Kill A Mockingbird. Then there is the integrity of Cotte’s technique to consider. Bendor Grosvenor, one of the presenters on the BBC’s Fake or Fortune – which, I might add, always treats the science aspect of authentication more thoroughly and comprehensively than this documentary has – took to Twitter to say that Cotte relies too much on science and not enough on art knowledge. Someone with more of an art history background might not have taken a slight shadow on a canvas as evidence of a larger head, as he has. Sorry to report much bizarre nonsense in the Mona Lisa programme. Classic case of over-reliance on 'science', and ignorance of art history. E.g. ; where Pascal Cotte sees the outline of a 'bigger head' in the Mona Lisa, art historians and artists will see a simple penumbra. Graham-Dixon’s theory that the Mona Lisa wasn’t one woman but a chimera that developed over time with the artist – an ever-changing life’s work that Da Vinci refused to give away – is lovely and imaginative; especially good for rounding off a nice TV show in a human way. But it doesn’t offer any of the ‘solutions’ it claims to. Nice article but the subject of Mona Lisa has grown in such complexity that is difficult to move into its intricacies if you have not studies it deeply the pros and cons. “…taken a slight shadow on a canvas as evidence” the Mona Lisa is on a panel of poplar wood not on canvas.